Read more about Gilbert's Shoes Passes Final City Inspections!! Read more about Shoe Store Approaches City Deadline! 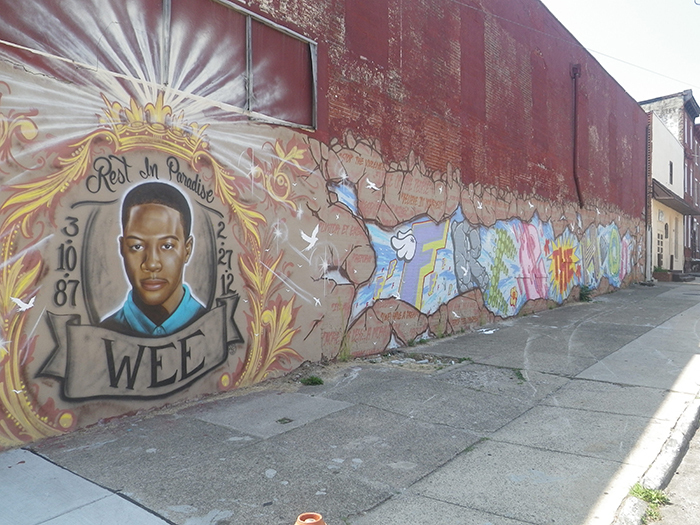 The night of February 27th, 2012 - Francisville lost another young man to gunfire right at our own back door. Wee, we mourn your loss and those who have been lost before and since. Thanks to our neighbor for permission to paint the wall, to Key, BE and NTEL for their work on this portrait and mural and to the friends, neighbors and family who financed and supported the work. Making the violence visible is an important step towards healing and moving forward. We gotta turn this around - its time to stop the violence and address all the conditions that lead to it. Free the Hood.